In this masterfully interwoven collection of linked short stories, Baird Harper writes with great affection, pathos, and some dark humor about the lives of contemporary Midwesterners who are connected by a fatal car crash. These stories dip and dart across the years, as we meet the man who will later be convicted of manslaughter, his estranged parents and his alcoholic wife, the victim's grief-bound sister and husband, and a broken man who wants the driver dead. Harper also captures the blight of small-town America, creating a vivid setting perfectly suited to the inner struggles of his deeply rendered characters. While each of these excellent stories stands on its own, together they form a satisfying and novelistic whole. When two cars collide at an intersection in a leafy Chicago suburb, Hartley Nolan is not the person police expect to find behind the wheel. After all, he barely drinks; everyone knows it’s his wife who’s the alcoholic. But the bigger question on people’s minds is what brought Sonia Senn, dead at the scene, back to her hometown in such a hurry that night? In eleven tightly linked stories, Red Light Run pulls us into the inner lives of Hartley, Sonia, and a host of other characters to untangle the mounting forces that carry them to their fates. Among the ensemble in this prismatic collection are a real estate agent who seeks gossip on the market rather than houses, a trailer park developer whose entire livelihood is laid to waste by a single cigarette, a divorced mother battling her daughter-in-law for hegemony over her kitchen, a widower hell-bent on destroying the invasive species of beetle that’s wiping out his oak trees, and a down-and-out handyman with a desperate plan for revenge. And then there’s Sonia Senn, with a dark secret of her own, and Hartley Nolan, who has risen above his roots to become a commodities trader in Chicago only to end up sentenced to eight years at Grassland State Prison. With infectiously grim humor and wry insight, these characters contemplate their realities in relation to one tragic moment, propelling us toward a startling revelation about the long and sometimes crooked arc of justice. 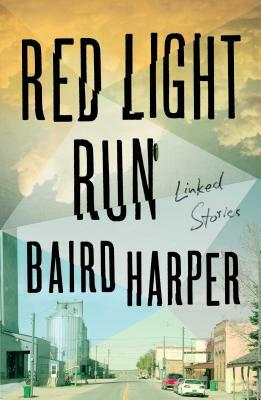 A brilliant feat of storytelling, Red Light Run is the radiant and stunning debut from Best New American Voices writer Baird Harper. Baird Harper’s fiction has appeared in Glimmer Train, Tin House, StoryQuarterly, and The Chicago Tribune, among other publications, and has been anthologized in New Stories from the Midwest, 2015; 40 Years of CutBank, Stories; and twice in Best New American Voices. The recipient of the 2014 Raymond Carver Award for Short Fiction, the Chicago Tribune's Nelson Algren Award, and the James Jones Short Story Award, Harper lives in Oak Park with his wife and two kids, and he teaches creative writing at Loyola University and the University of Chicago. Red Light Run is his first novel.